- To ensure individual achievement in the learning Thai language, culture and traditions. - Highly Professional and Experienced Thai teachers. - A learning Thai environment that is congenial comfortable, clean and safe. - Reasonable rates for learning Thai. - The ability to learn and speak Thai in a very short amount of time "Amazing". 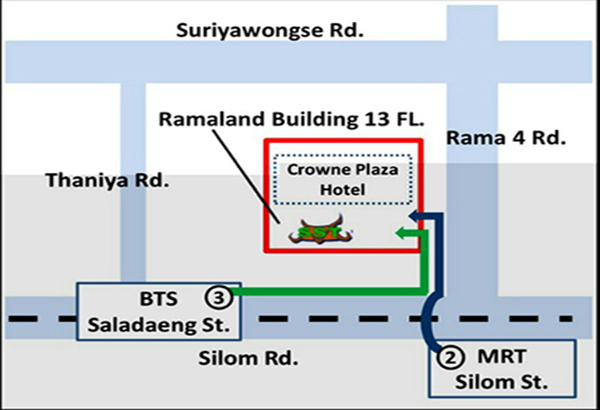 We moved to 13th Floor, Ramaland Building (Crowne Plaza Hotel). The Thai lesson classes of October will start "October, 5 - 30 2015"